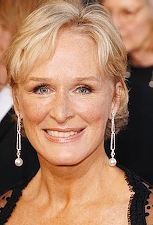 Going and coming: Bob Barker leaves CBS, Glenn Close arrives at FX. 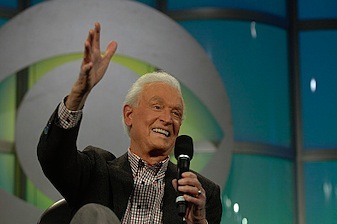 ***Bob Barker's looming retirement as host of The Price Is Right will be feted with two CBS prime-time specials during the May "sweeps." The Price Is Right Million Dollar Spectacular is set for May 16. And on the following night it's Bob Barker: A Celebration of 50 Years on Television. Both one-hour shows will be at 7 p.m. central (8 eastern). Barker, 83, has hosted The Price Is Right since 1972. His final daytime edition of the game show will air sometime in June. ***FX has greenlighted 13 episodes of the new drama Damages, starring Glenn Close and Ted Danson. Close, making her debut as a TV series regular after a one-season stint on The Shield, is cast as heavy-duty litigator Patty Hewes, who preys on corporate titans. One of them is Arthur Frobisher, played by Danson after his Help Me Help You comedy series got axed by ABC earlier this season. The premiere date will be sometime this summer. ***Punk'd producers Ashton Kutcher and Jason Goldberg are behind NBC's new six-episode The Real Wedding Crashers, which starts taking the cake on Monday, April 23 following the return of new Heroes episodes. Real-life wedding couples conspire with five "quick-thinking, hilarious improv performers who've made it their mission to infiltrate" the big day, NBC says. Then comes a "huge reveal," with the newlyweds admitting to pranking attendees. Maybe funerals will be next. ***Democratic presidential candidate Barack Obama will be a guest on the Monday, April 9 edition of CBS' Late Show with David Letterman. It's his second appearance, and the first since Nov. 26, 2004. Halle Berry will be there, too. Also, Speaker of the House Nancy Pelosi will join Jay Leno on the April 12th Tonight Show.